i can’t speak for everyone here, but i have to say the next best thing to a bouquet of real flowers has to be this one. 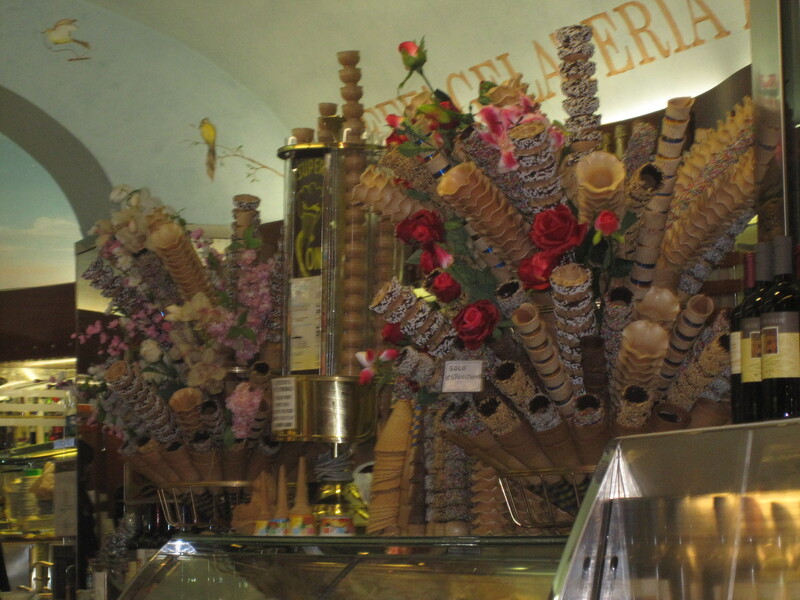 we all know italians take their gelato seriously but did you know to what extent? this is one heck of a job on making the cones look enticing. serious business. Great memory of the artistic Italiens, making gelato more tempting- really was NOT necessary!!! But beautiful none the less.